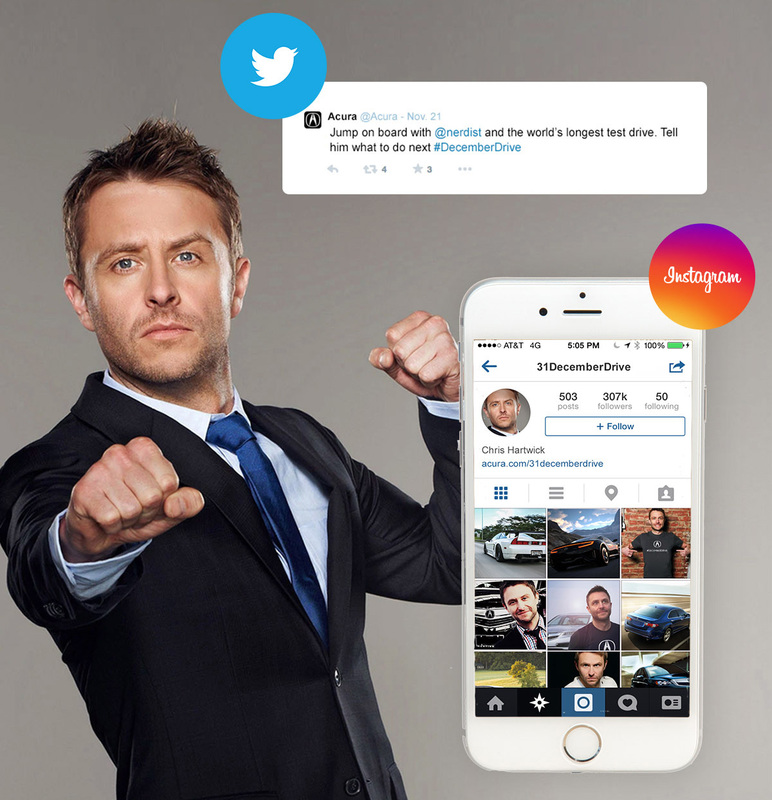 Starting December 1st, our hired actor 'Chris Hardwick' along with a camera crew embark on a month-long test drive across America - starting in San Francisco and ending in New York City. This adventure would be captured and shared on an immersive campaign landing experience where fans are invited to participate. 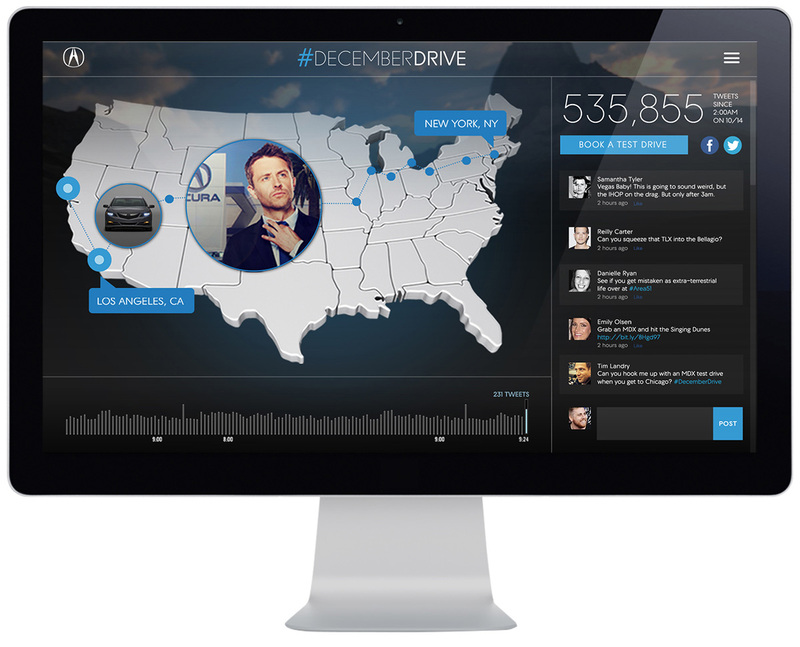 User generated fan content is filtered and fed to our driver in real-time and helps direct the flow of the story. Some people might ask him to perform extreme maneuvers, so we have a producer on hand to make that possible. Someone else may want to be picked up for a test drive while he’s nearby. He responds. Others might just want him to say something funny… He obliges them. 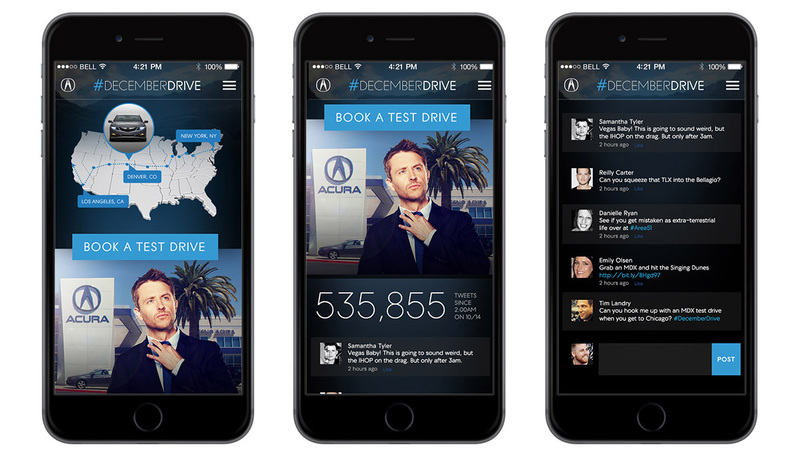 Acura announces that Chris Hardwick AKA 'the Nerdist' will be taking a 31 day drive across America and social media will control his movements and capture his adventure. We then create an Instagram account for Chris, or Hijack the Acura account for the month of December where he interacts with the crowd. 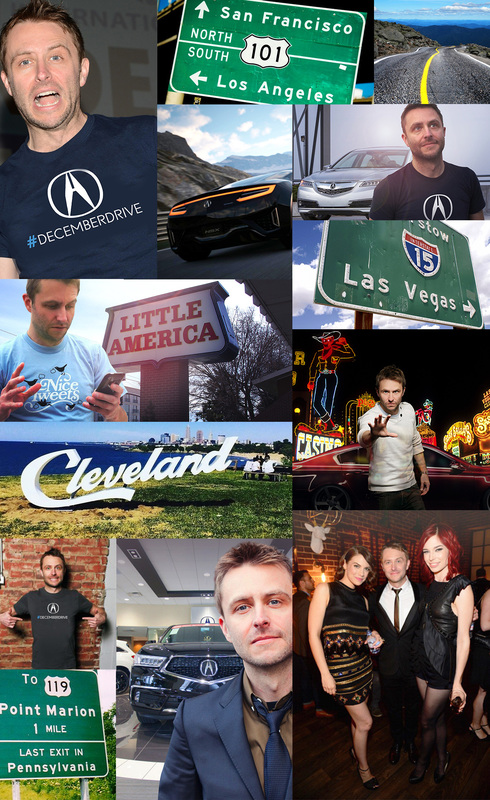 Chris Hardwick takes photos in different cites and locations as he drives across America and posts them to social media. 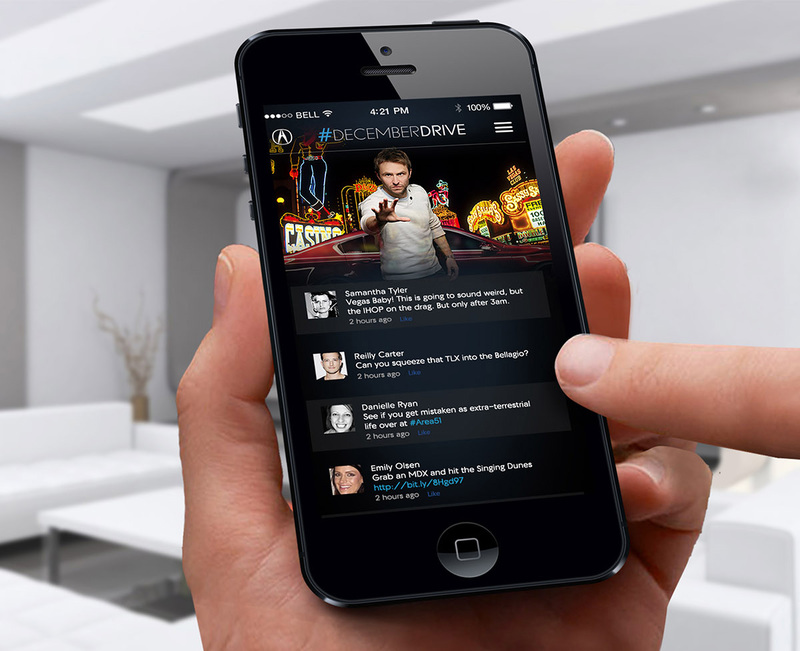 All of the conversations between Chris Hardwick and the social community take place on the experience hub. Users can track his progress and send him requests, ideas, and thoughts. Most content will be live, but some will be canned. Some tweets are reacted to in real time. Others may take time to setup and plan.